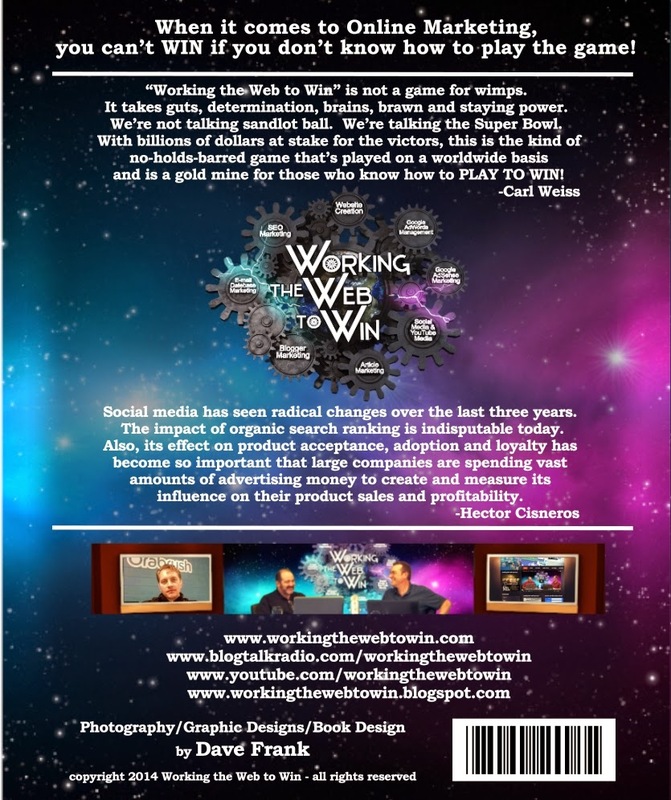 "Working the web" is not a game for wimps. It takes guts, determination, brains, brawn and staying power. We're not talking sandlot ball. We're talking the Super Bowl. With millions of dollars at stake for the victors, this is the kind of no-holds-barred game that's played on a worldwide basis and is a gold mine for those who know how to PLAY TO WIN! Social media has seen radical changes over the last three years. The impact of organic search ranking is indisputable today. Also, its effect on product acceptance, adoption and loyalty has become so important that large companies are spending vast amounts on advertising money to create and measure its influence on their product sales and profitability. 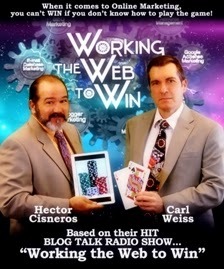 This book is based on the Hit blog Talk Radio show, "Working the Web to Win". It cover SEO and content marketing from a very unique perspective. The view that if you make the search engines happy the will reward you with high rankings. No back hat tricks. Their methodology is based on AB testing and measuring every aspect of their approach. It cover all aspects of modern SEO methodology, content creation and marketing. 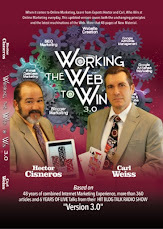 Also include are sections on how to build a following and grow that social network The reader will benefits for the 40+ years of internet marketing experience that Carl and Hector have and the detail of how to make things work will please any internet marketer. If you are a member of Amazon Prime, you can start reading this book in about one minute. Borrow this book for free on a Kindle device with Amazon Prime. Learn more about Kindle Owners' Lending Library. Join Prime to borrow this book at no cost.